Enjoy this unique opportunity to explore the city on your own, with the optional tourist train or the tourist bracelet. 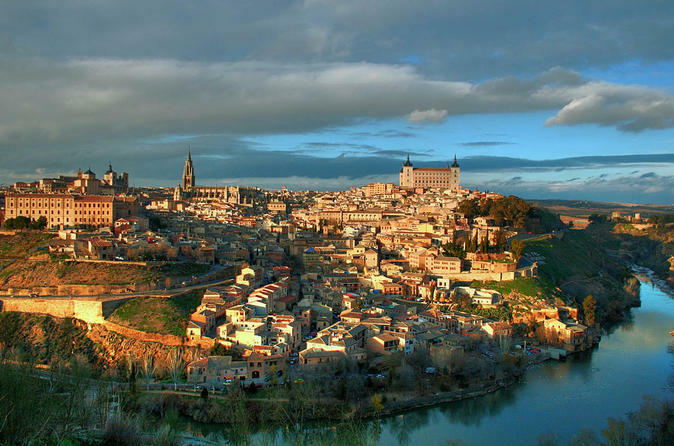 Upon arrival in Toledo, you may start visiting to see important monuments and quarters of this historical city, known as the city of “Three Cultures”, which was influenced by Christians, Moors and Jewish people who once lived there altogether. You will meet your guide in Madrid´s agreed location, and then head to Toledo. With this bracelet, you can go back whenever you want to visit the six monuments; it is a credit that does not expire and is reusable while you still have it on your wrist. This will give you an opportunity to take a ride in a comfortable tourist train that will go through historical narrow streets. You will hear explanations about Toledo’s history and facts. Also, you can use an audio guide in various languages.